How to make homemade panna cotta with buttermilk, honey and vanilla. 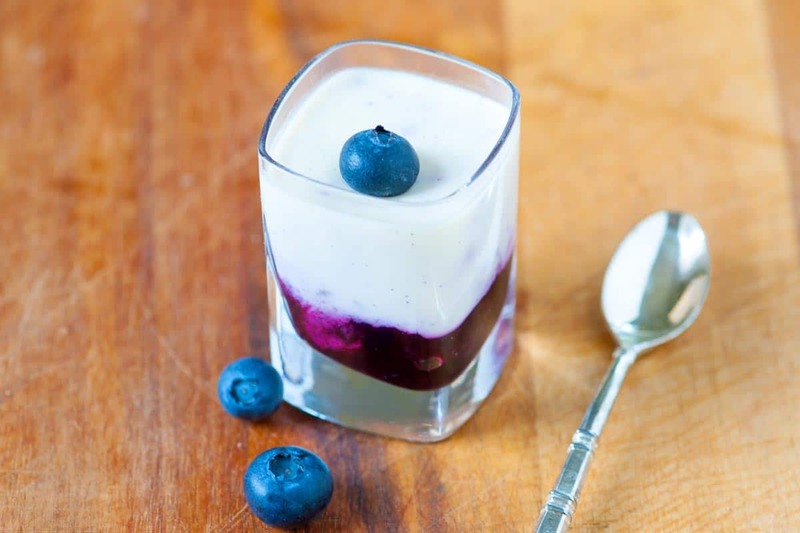 Jump to the Buttermilk Panna Cotta Recipe with Blueberry Sauce or read on to see our tips for making them. Panna cotta is perfect for making ahead of time — we usually make these one or two days in advance. 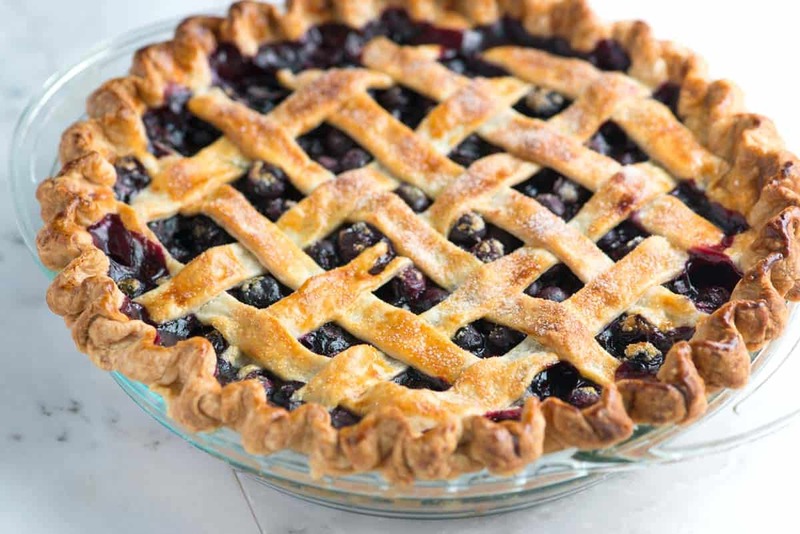 YOU MAY ALSO LIKE: An easy blueberry pie with blueberries, warm spices, lemon and an easy lattice crust. Blueberries shine in this pie! Jump to the full Blueberry Pie Recipe. 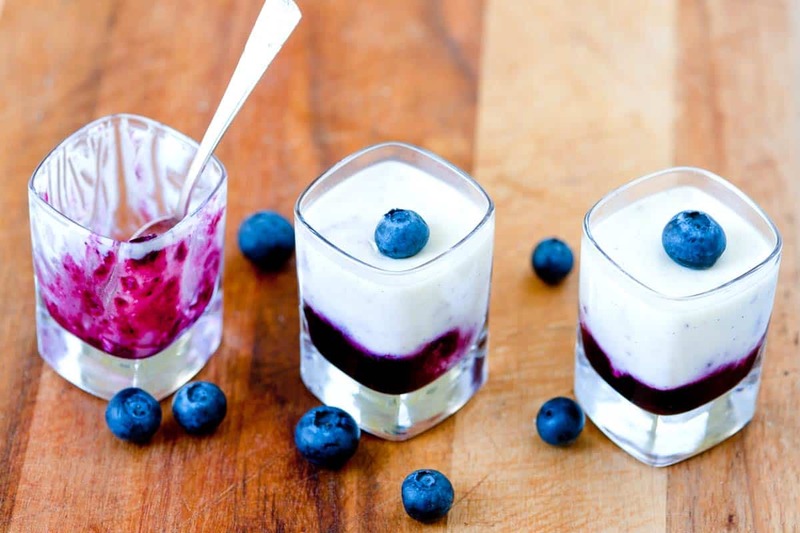 I love the combination of creamy panna cotta and blueberries. 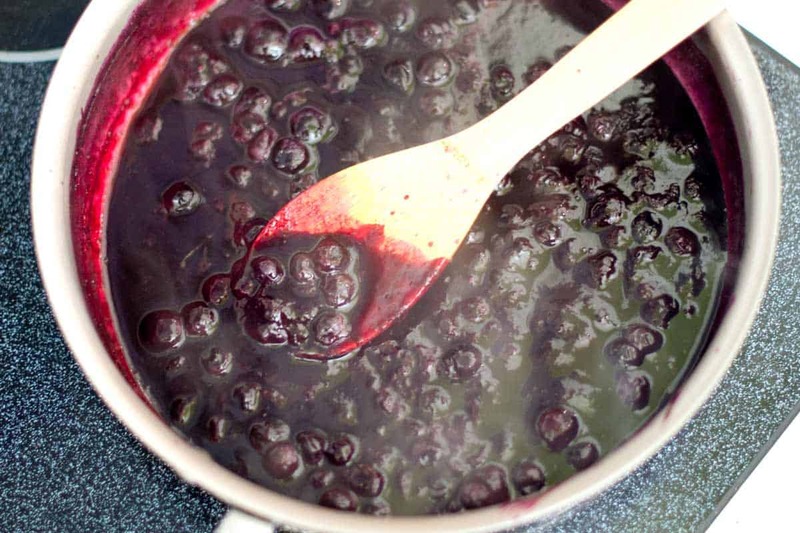 We make a quick and easy blueberry sauce, but a simple substitute is your favorite jam. When it comes to the panna cotta, we use a whole vanilla bean. They are a bit expensive, but you can usually just buy one in the store. It is worth it, but if you don’t want to spend the money, substitute 2 teaspoons of vanilla extract – we won’t tell. To make sure we get every bit of flavor out of the vanilla bean, we “steep” it in heavy cream and honey for about 30 minutes. This is the same idea as steeping a tea bag in hot water — all the vanilla’s sweetness and flavor will perfume the cream. Next comes the buttermilk. I love buttermilk in panna cotta, it adds a tanginess that balances the sweetness of honey and vanilla bean. Now all that’s left to do is assemble. Divide the cream and blueberry sauce between cups or glasses and refrigerate for about 4 hours. 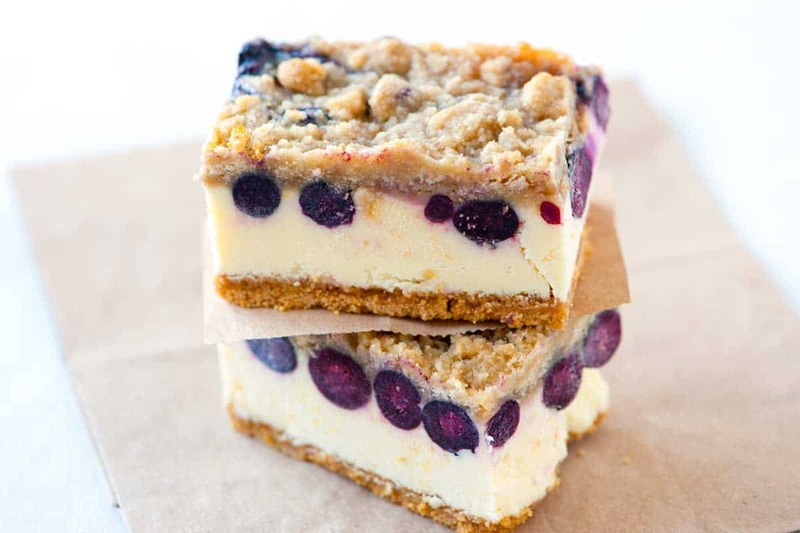 YOU MAY ALSO LIKE: How to make the best cheesecake bars with fresh blueberries and lemon. Jump to the Blueberry Lemon Cheesecake Bars Recipe. I love the combination of creamy panna cotta and blueberries. We make a quick and easy blueberry sauce, but a simple substitute is your favorite jam. The panna cotta will need about 4 hours to set. Add blueberries, water, and sugar to a medium saucepan over medium heat. Bring to a boil then add the lemon juice and reduce heat to medium low. Simmer until the sauce begins to thicken, about 10 minutes. Occasionally stir and use the back of a wooden spoon to crush a few of the blueberries into the sauce. Cool to room temperature. Add cream, honey, vanilla bean and seeds to a medium saucepan over medium heat. Bring to a simmer then remove from the heat, cover and allow the cream to steep for 30 minutes. After 30 minutes, add 1/4 cup of water to a small bowl and sprinkle with powdered gelatin. Reheat the cream, remove the vanilla pod, and then add reserved gelatin. Remove from heat and whisk well until gelatin has dissolved. Add buttermilk and whisk until blended. To assemble, spoon a small amount of blueberry sauce into the bottom of each serving glass/bowl then carefully pour the panna cotta mixture over the blueberry sauce (the sauce may mix into the panna cotta slightly, this is normal). 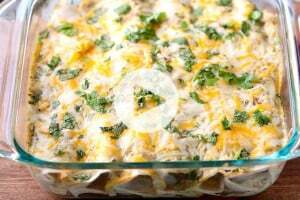 Leave at room temperature for 20 minutes, and then store, covered in the refrigerator until set, about 4 hours. Hopefully, someone else doesn’t make the same mistake as me — DO NOT HEAT THE CREAM AND BUTTERMILK TOGETHER. Follow the directions exactly — whisk in the buttermilk at the end after the cream mixture has cooled a bit. Otherwise, the liquid will get a curdled instead of smooth appearance. Still tastes fine, but the layers separated out with refrigeration. No buttermilk where I live… wondering what you’d suggest as a substitute, if anything? Yogurt? Or Milk with vinegar? Nevermind, I made my own buttermilk 🙂 I’ll report back tomorrow when we eat it! This panna cotta was delicious! The blueberry sauce was great! Personally, I’d like more vanilla flavor in mine next time (I used the extract). Also, after my first cup turned blue, I found it helped to place the blueberry sauce in the individual cups and place them in the fridge for a while before adding the panna cotta- that way the colors didn’t mix. 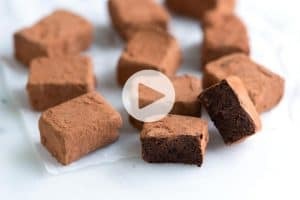 Such a great recipe, thanks! I religiously follow your recepies post … could you plz post recipe for BAKLAVA or can you e-mail it to me . I am so making it haha, looks great!! Can you substitute the buttermilk if needed? Yes, buttermilk will work nicely. Just pinned this recipe to my Pintrest page. Looks amazing. Thanks for the awesome email newsletters – I just love your stuff. 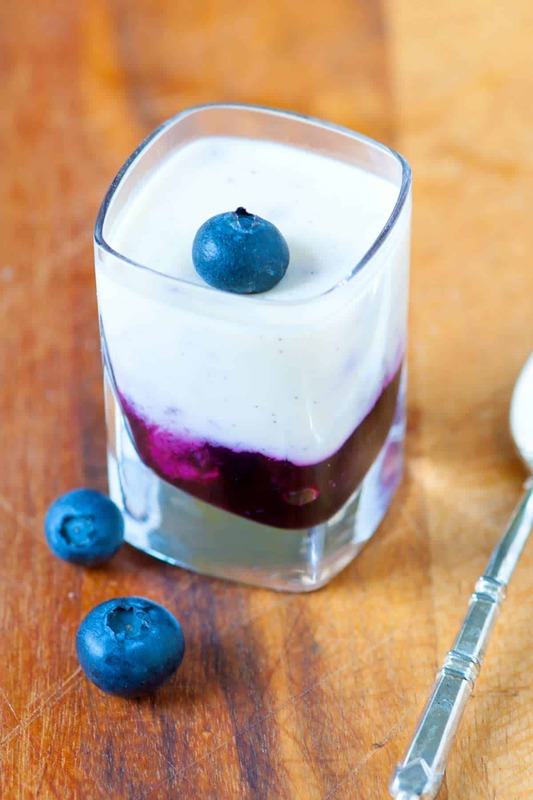 Yum, love panna cotta and blueberries – use a fair amount of buttermilk and here is a recipe I make all the time that everyone loves. These look so striking and your photos of them are beautiful. The colour is really impressive and I imagine in a pannacotta the taste is amazing! 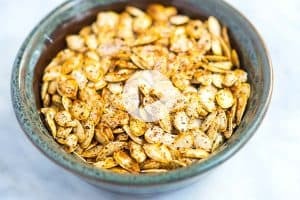 I love buttermilk – and vanilla seeds in pretty much anything just makes it better 🙂 These are gorgeous and I love the glasses you used for the photos. I typically wind up dumping leftover buttermilk into scrambled eggs – a little adds a lovely tang. Thanks! Love the idea of buttermilk and scrambled eggs — trying that one soon! This panna cotta looks amazing! And I love the way you served it. Super cute. Holy moly! This sounds amazing! Thanks, Jessica — it’s all about that buttermilk! We were shocked with how much the tang when with the honey / vanilla sweetness! Ours, too! Not too heavy after a larger meal.